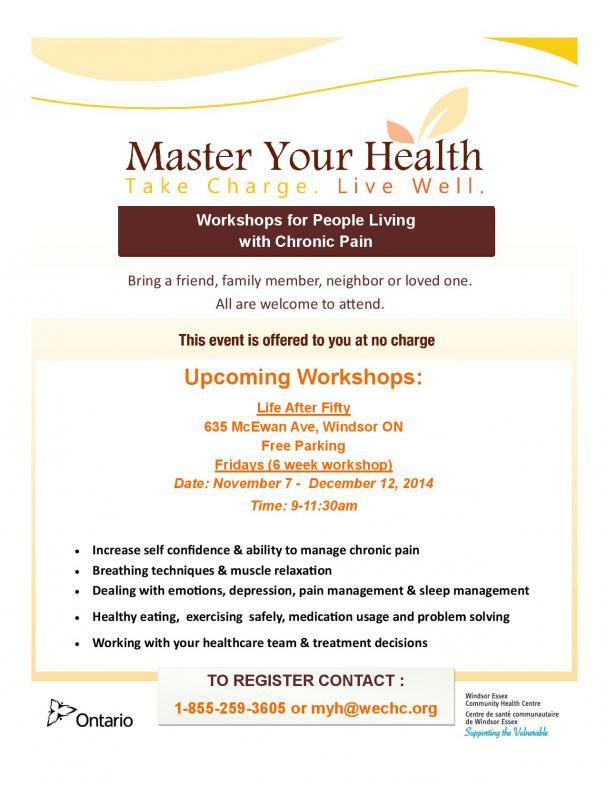 Participate in this set of FREE workshops that are designed to help those living with chronic pain. Topics of discussion range from: Ability to manage chronic pain & increase self confidence; breathing techniques and muscle relation; dealing with emotions and pain/sleep management; healthy eating, exercising safely, medication usage and problem solving. This program is presented by the health care team at Windsor Essex Community Health Centre. To register please contact: 1-855-259-3605 or myh@wechc.org.